http://www.santacruzpumas.org/research/ click here There are many definitions out there on street food and what it is. In addition, most people have their own opinion or interpretation on how to understand the expression. I have received many emails with questions on how to define street food. The questions are good because it really isn’t easy. 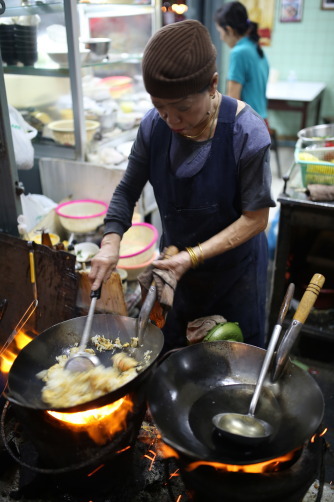 And there are some national differences around the concept of street food as well – it’s just not the same in Bangkok as it will be in Kuala Lumpur due to cultural and historic issues. So let me therefore try to give some understanding to the issue and how it’s applied at StreetsideBangkok, with a few examples to follow. click here Please be aware that this article is not about a specific dish, vendor or area. It has a theoretical focus on what street food is and isn’t. buy now First of all, there isn’t one correct answer. The alternatives are many and the opinons covers a range of different types of vendors. Wikipedia uses the following definition: “Street food is ready-to-eat food or drink sold in a street or other public places, such as market or fair, by hawker or vendor, often from a portable food booth, food cart or food truck“. In Your Dictionary, the defintion of street food is “ready-to-eat food that is served from vendors in public places“. FAO (Food and Agricultural Organization of the UN) agreed in 1986 in Jakarta that street food is “a wide range of ready-to-eat foods and beverages sold and sometimes prepared in public places, notably streets. Like fast foods, the final preparation of street foods occurs when the customer orders the meal which can be consumed where it is purchased or taken away“. 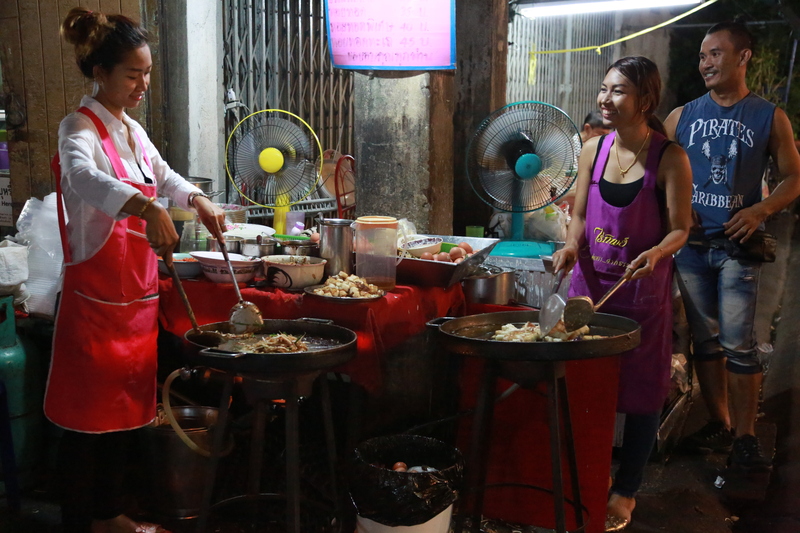 None of these definitions are very applicable for the Bangkok street food scene. To start with the last one, it includes fast food or take aways in general. But it’s not exactly McDonalds or Pizza Hut we’re looking for when wandering the streets of Bangkok. To describe it as ready to eat food, as in Wikipedia and Your Dictionary, is also far too narrow. I really don’t won’t my Pad Thai to be pre-maid, I want a fresh batch to eat there and then. The same for satay’s, I want them made to order, and the same goes for my Som Tam and many other typical Thai dishes. Bangkok Metropolitan Administration includes mobile vendors selling from a cart or carry their goods on a pole they carry on they shoulders, together with fixed vendors selling from a stall, usually extended from a house or shophouse as long as it’s “an establishment with no more than three walls“. Not perfect either, but I find it a quite useful way to look at it. At least as a starting point. Let’s first split the vendors in mobile vendors and vendors with a fixed location. Mobile vendors can be the plain and simple cart’s pushed around the city, ringing with their bell when passing a house, a bar or any other location where they know there is a demand. They normally have a limited area to cover. Everybody would agree that this is street food. But you also have mobile vendors selling food from cars. Many of them have several locations spread around town, but they normally stay at a fixed location every day, like markets, traffic hubs or busy road-crosses. They sell one or very few dishes, very specialized. StreetsideBangkok.com includes these mobile cars as street food vendors. It’s normally no difference between these vendors and carts with a fixed location, except that one is behind a cart and the other one is behind a built in counter in the car. When moving on to vendors with a fixed location, it get’s a bit more tricky. But of course, the small cart with a fixed location isn’t the problem. But as they have a fixed location, many of them have a few tables to give people the option to sit down or to do take away, like Guay Thiew Lod outside the Seiko Shop in Yaowarat Road. I think most people would agree that a cart at a fixed location with a few tables is still making and selling street food. 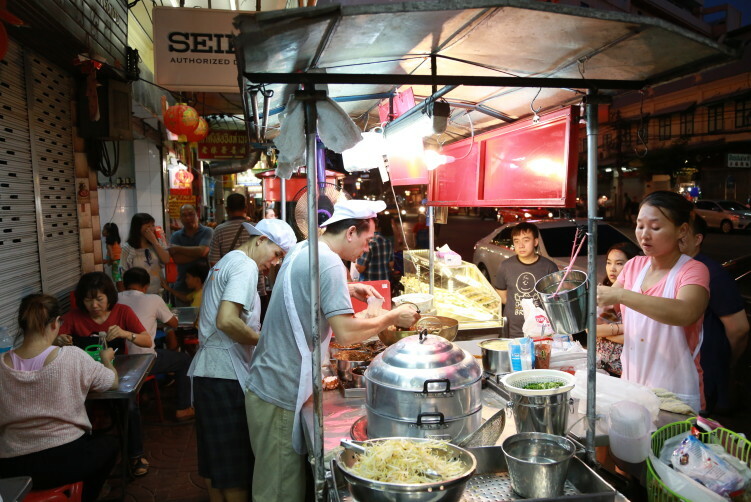 If we look at street food historically, it’s also important to be aware of the fact that many of today’s shophouses around Bangkok city, with a limited menu, started out as small carts or classic street food vendors, like the legendary Jay Fay in the Banglamphu area or Volcanic Fried Mussels and Oysters in in the Bangrak area. But due to their success in selling great food, they moved up in the food hierarchy with an income that allowed them to take their business (or parts of it) inside the typical three walls with and open front to street, the so called shop houses. Personally, that is still street food to me. They do the same, selling the same food, maybe with a couple of additions on the menu, but they now have a room with an open front to the street, some with tables inside, some with storing facilities like a fridge. And most of these vendors, but not all – like Chong Kee close to Chinatown, still make their food on the streets as they did before moving inside. Chong Kee on the other hand moved the barbecue inside the shop house as well, but otherwise they make their pork and liver satay’s in the same way. None of the above makes a big difference to me, it’s still street food. And we’re still in line with how Bangkok Metropolitan Administration is looking at it. 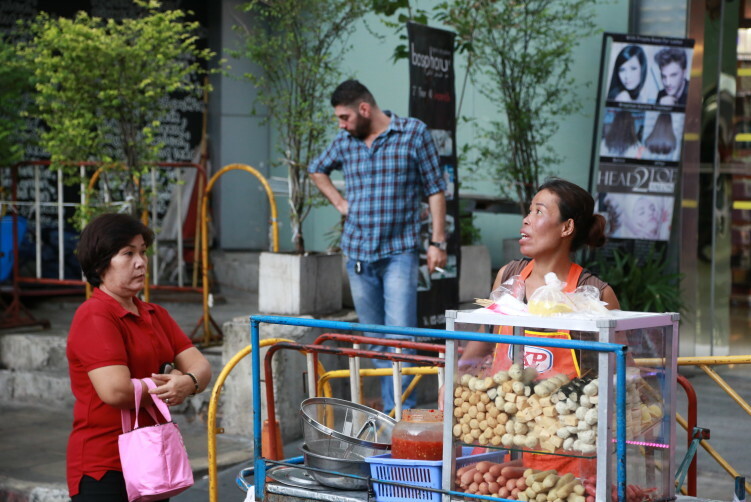 Even in the early beginning of street food vending in Bangkok, you had both fixed and mobile locations, mostly in the canal as floating markets and itinerant vendors sold from house to house. It was the construction of roads, started during the reign of King Rama IV (1851-1868), that took the food out on the streets. 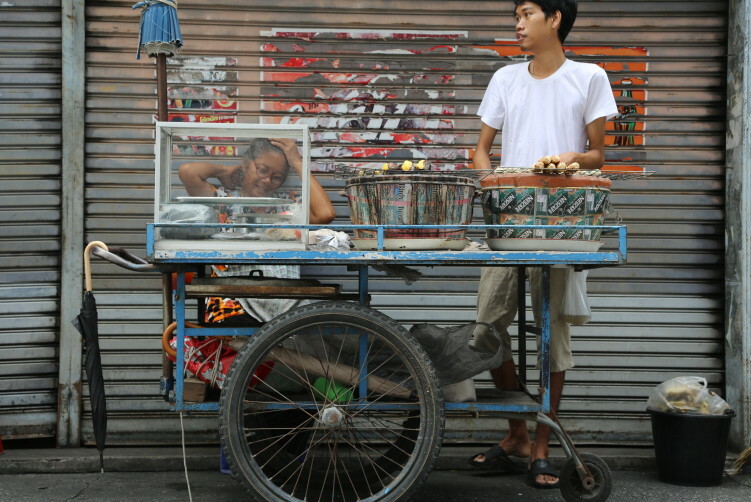 During this time there was also bigger communities of Chinese vendors in Bangkok. 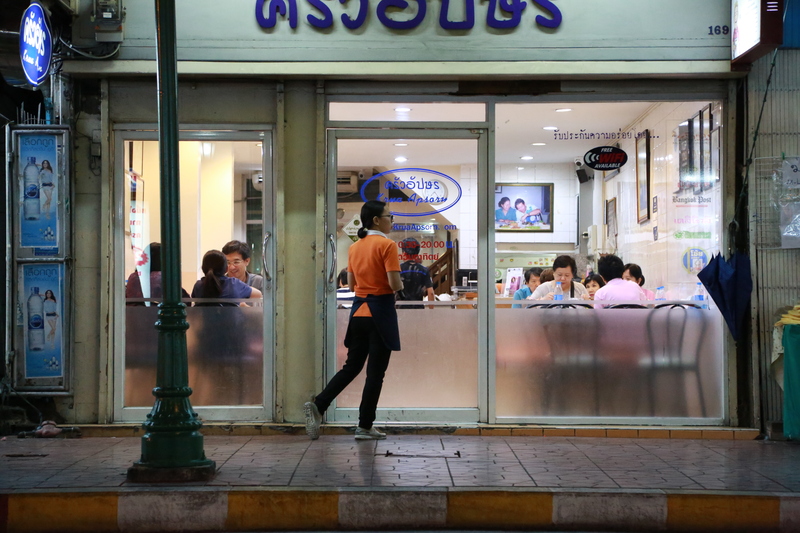 Thai food and Chinese food in Bangkok was like two different towns back in those days. 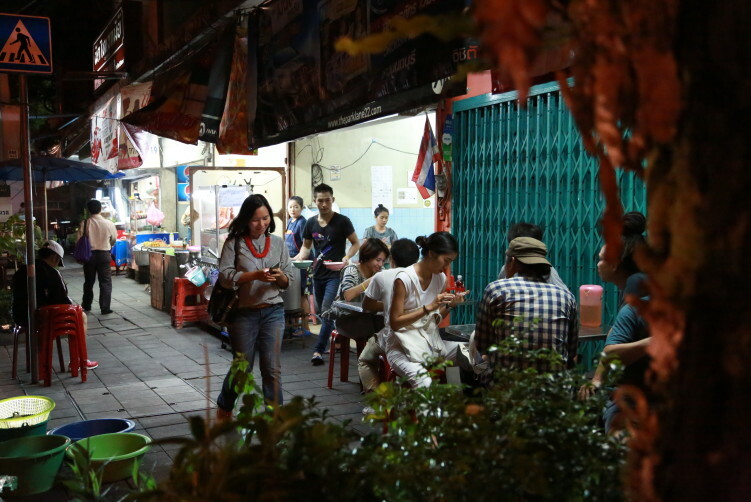 Kanchanakphand (2002) writes that in “… the Bang Luang canal there were only Thai food and Thai desserts sold by the Thai… in central Bangkok there were only Chinese food and Chinese vendors. 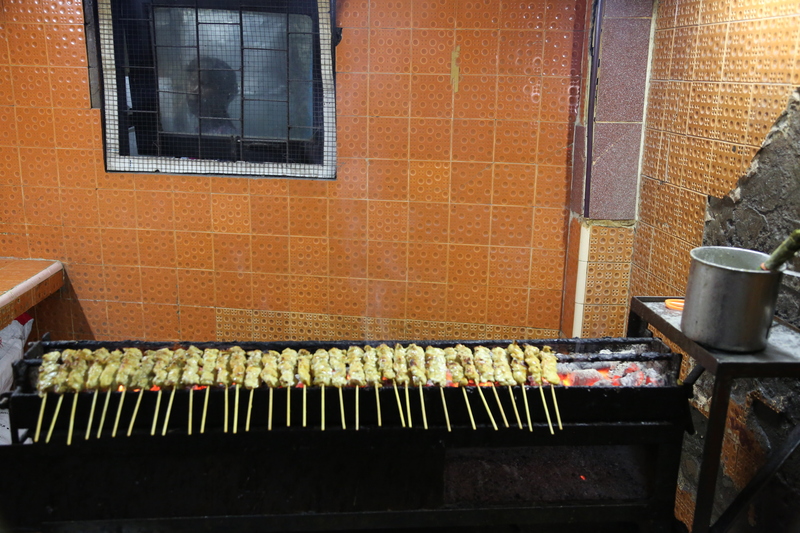 In those days, the typical Chinese immigrants started with ordinary wage work to help family back home in China, but they also saved, and when they had accumulated enough capital, they got into street food vending where they accumulated even more capital to expand into larger scale businesses. And some of todays owners of large Thai businesses and conglomerates started out in vending (Yasmeen 2001). Krua Apsorn, Bangkok’s prime spot for crab. Anyway, back to what is street food and what isn’t. 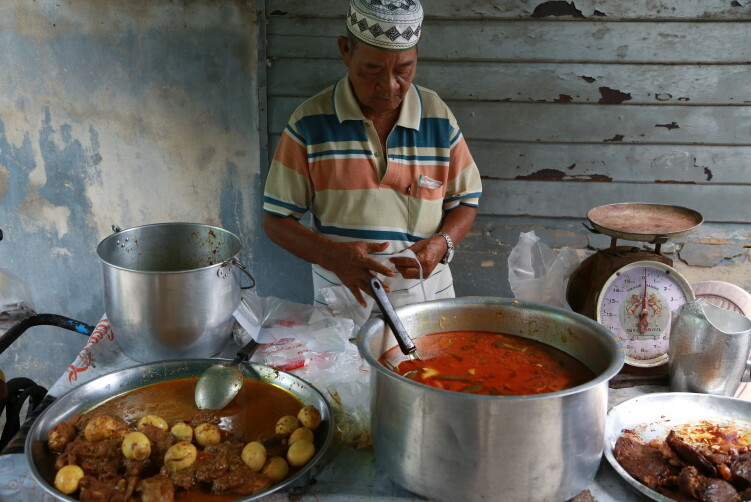 The point from my side is to separate the street food vendors from full-fledged restaurants. It’s not difficult to cut out the ordinary restaurants you enter through a classic door, like for example the excellent Krua Apsorn in Dinsor road. 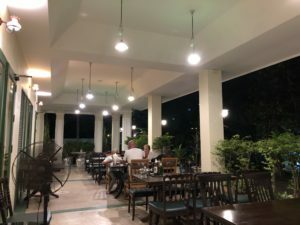 But at the same time, you have many open air restaurants that’s much closer to what you normally would understand as s full-fledge restaurant then a street food vendor, just that they due to the climate are allowed to operate within an open air environment. These restaurants, giving you a big menu of choices isn’t and have never been street food vendors in my view. A point to separate is definitively the number of dishes they serve. But I don’t agree with Chawadee Nualkhair who limit these classical shophouses to those who sells one or, at the most, two specialities “of the house”. You easily get in trouble using the expression specialities “of the house”, and you end up with including restaurants with a rather big menu as long as only two of the dishes is considered speciality. What was considered specialities in 1950 may have been expanded to more or even different dishes 65 years later. In other words, you will easily cover some full-fledged restaurants with her way of using the expression. But that said, I understand why she does it, it isn’t easy to define due to fact that the world has changed, culturally and economically. That’s why you also need a bit of flexibility in using the term street food. A good example of that is the rice and curry vendors, or khao gaeng as is the Thai name. They are basically specialized in curry dishes, normally served with rice, but sometimes with (fermented) noodles, like at Rai Nai Oo in the Sam Yan area of Pathumwan, where all the Thai dishes that are available are on display from a table. Some have an indoor seating connected to it, some not. some of them definitively have more than one or two specialities of the house to show for, but I have no problem to rank them as street food vendors. I hope this give some light to how street food is looked at in StreetsideBangkok, but please be aware that we review more than just the classic street food joints. To debate and discuss what is street food is a good thing in my mind as it creates interest in both food and culture and how it’s made and developed around the world, including Bangkok.